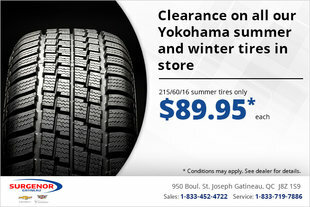 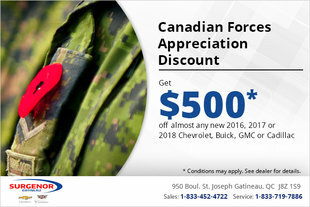 Surgenor Gatineau Chevrolet Cadillac Ltd. will have a special offer for you no matter your needs. 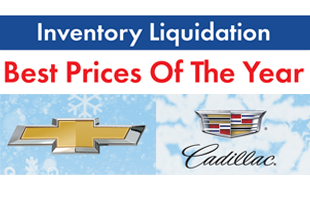 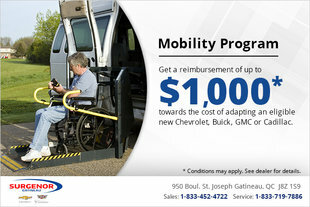 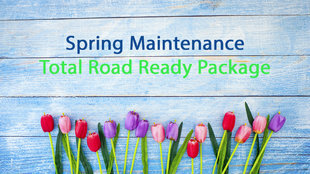 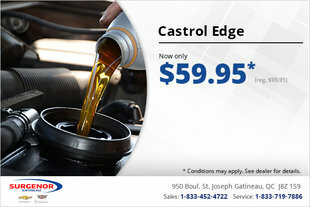 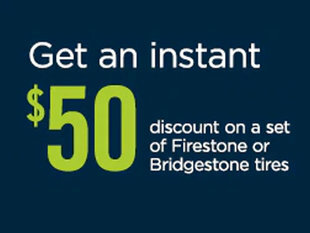 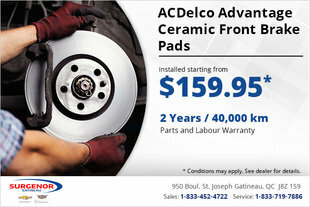 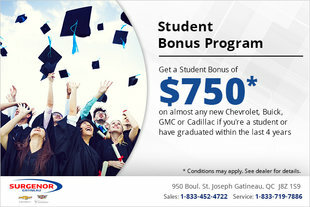 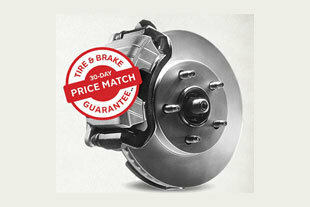 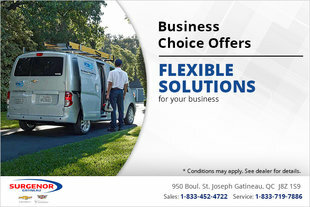 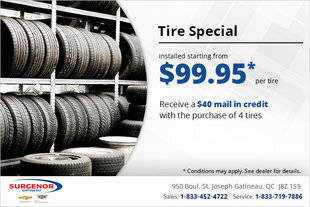 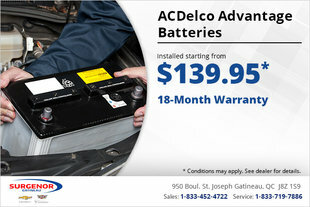 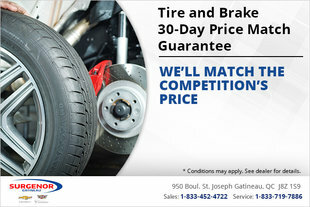 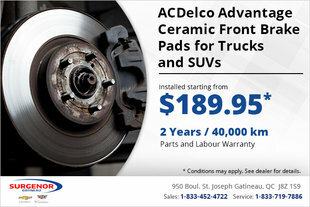 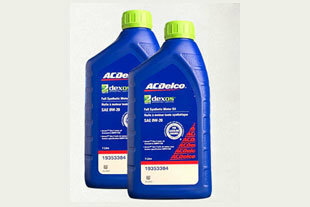 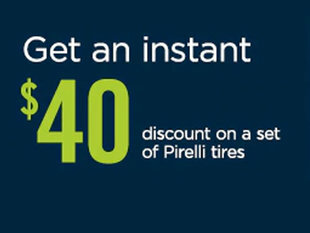 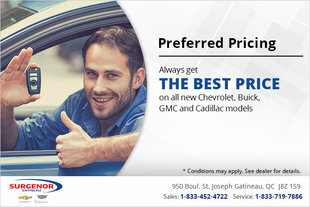 We are continuously updating our special offers on the Chevrolet and Cadillac products, vehicles, or services we offer. 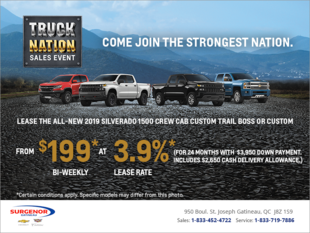 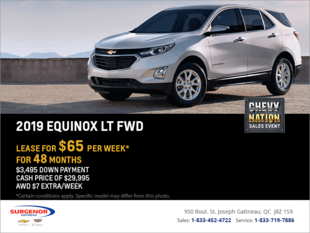 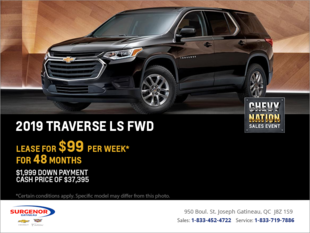 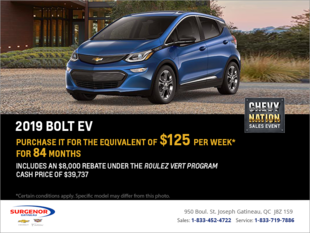 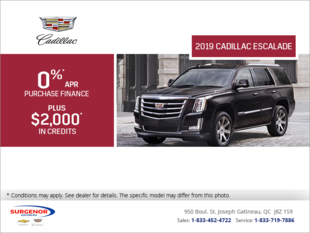 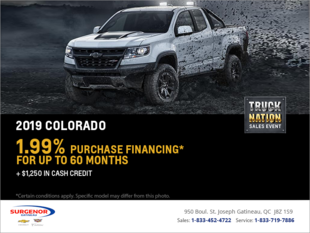 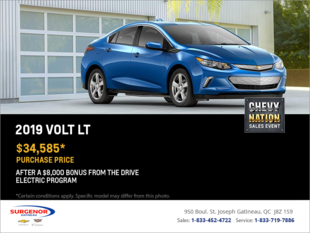 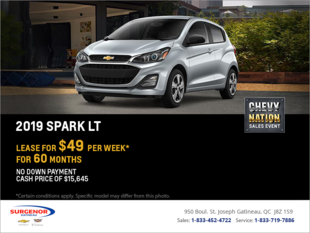 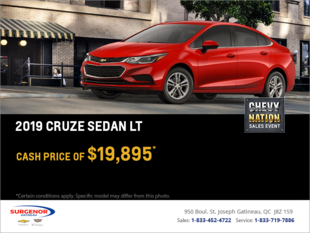 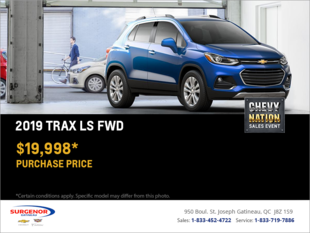 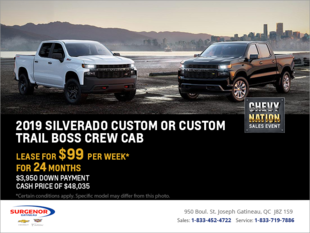 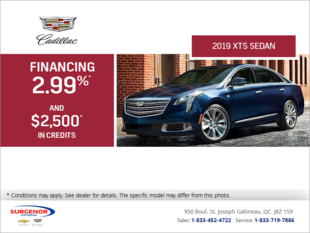 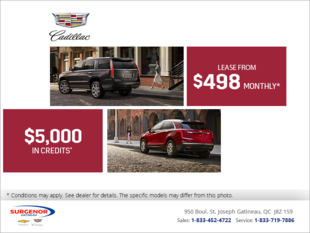 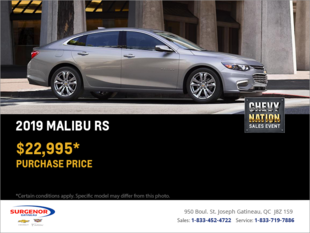 If you're looking for a new Chevrolet or Cadillac in Gatineau, Surgenor Gatineau Chevrolet Cadillac Ltd. will have a special offer for you. 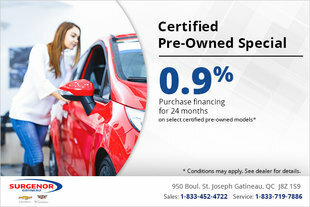 It’s not just new cars that have special offers either, check out how you can save on the purchase of a certified pre-owned Chevrolet or Cadillac as well. 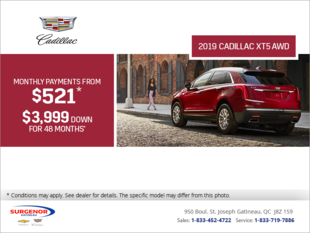 At Surgenor Gatineau Chevrolet Cadillac Ltd., we can also help you save money when you bring your Chevrolet or Cadillac model in for maintenance, detailing, or if you’re in need of a genuine part or accessory. 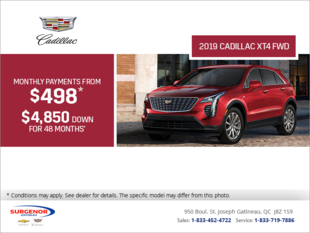 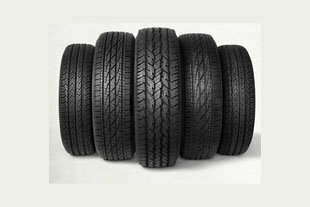 At Surgenor Gatineau Chevrolet Cadillac Ltd., we offer a range of seasonal offers that make it more affordable than ever to get your vehicle ready for spring or winter, purchase new winter or summer tires, or ensure that your vehicle is squeaky clean inside and out. 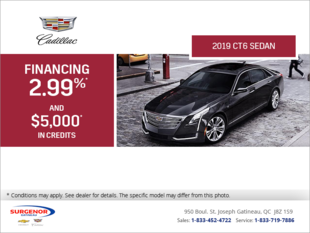 Visit us today at Surgenor Gatineau Chevrolet Cadillac Ltd. and see what special offers can help you save money on a Chevrolet or Cadillac.